Matt Paradis. Credit: Isaiah J. Downing, USA TODAY Sports. The offseason is officially upon us, NFL fans. After that snooze fest of a Super Bowl, Broncos fans are likely looking for some excitement and that should come soon, during the free agency period. And while Denver’s front office can’t sign anyone new until the start of the league year, on March 13 at 2 p.m. MT, there will be a ton of players the Broncos will be focusing on bringing in to help head coach Vic Fangio compete. However, there are also 26 free agents in-house Denver needs to consider re-signing, with 15 of them being the unrestricted variety, which means they could be stolen away by another team without the Broncos being able to do anything. 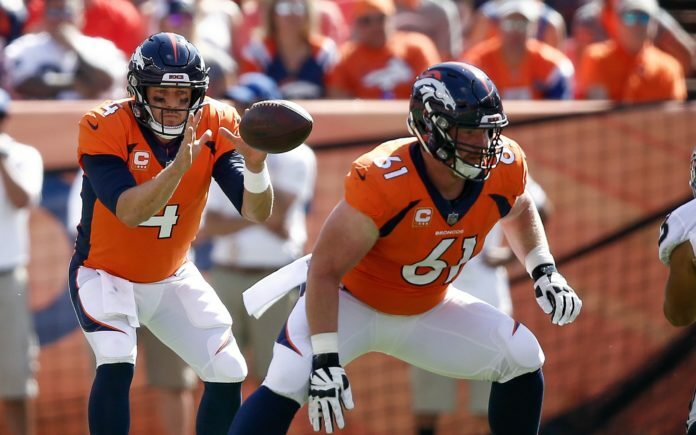 While many of those 26 free agents have been valuable as of late, the three biggest names Denver needs to re-sign are Matt Paradis, Shelby Harris and Bradley Roby. Before tearing his achilles tendon last year, Paradis hadn’t missed a snap in three years and he allowed a single sack over the last two seasons, coming in Week 1 of 2018 against the Seahawks. Paradis has simply been the model of consistency in the center of Denver’s offensive line since he was selected in the sixth round of the 2014 draft, and last year he was graded as the second-best center by Pro Football Focus (79.0). After signing a four-year deal in 2014, the Broncos have signed him to consecutive one-year deals since 2016. He earned $914,000, then $986,000 and finally $2.9 million the last three seasons. But, for one of the best centers in the NFL, Paradis will be looking for a major raise as part of a long-term deal this offseason. 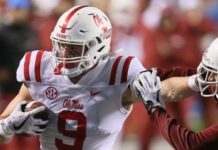 Unfortunately, according to one source the Broncos low-balled Paradis in their first offer. 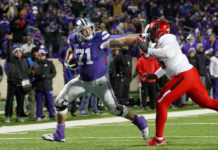 When the stellar center went down due to injury last year, guard Connor McGovern stepped in and played decently, but nowhere near as good as Paradis. The best-case scenario is Denver re-signs Paradis — even if that means a raise to $8-10 million a year — and then McGovern slots back into right guard. Last year, three centers made more than $11 million, and the top-10 salaries at the position all scheduled to make at least $7.8 million in 2019. Re-signing Paradis is key because he’s been the best offensive lineman in Denver for years and he’ll give new line coach Mike Munchak a star to help build around. Plus, he was a great Day 3 draft pick by John Elway and the front office. Like Paradis, the Broncos found a diamond in the rough with Harris. After being waived by the Raiders, Jets and Cowboys, Denver signed him in 2017 and he’s outperformed expectations the last two years. Unlike Paradis, he’s a restricted free agent, meaning Denver will be able to match any offer another team makes him. Or, they could try to get those talks going early and have him ready to re-sign in mid-March. Last year, Harris was a steal at only $705,000 because he was a constant havoc-maker in the backfield. Graded out at 90.8 on the year, Harris was the seventh-best interior defender on the season according to Pro Football Focus. He enjoyed three sacks and 19 total pressures, batted down four balls and made 19 tackles for a “stop” or loss to the offense. But, his most impressive play of the season came as he helped secure the Broncos win over the Pittsburgh Steelers. With Ben Roethlisberger and the offense driving, Harris dropped back into coverage and picked off “Big Ben” to cement the upset victory and keep Denver’s playoff hopes alive. And while he was graded lower in 2017 (76.3), Harris enjoyed six sacks that year as part of another 19 pressures. Simply, from an interior defender standpoint, Harris has blossomed into one of the best in the league and Denver must do all they can to re-sign him. At $705,000 last year, he was 99th in terms of defensive end salaries. He’ll likely require at least $3 million per year and may even look for more considering his success. Unlike Harris and Paradis — who hold a lot of leverage going into the negotiating process because of their excellent play — Roby could be re-signed for a relatively cheap price. 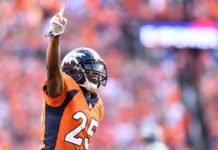 Over the course of his first four years, Roby averaged about $1 million per year, last season, the Broncos picked up his fifth-year option, paying him a hefty $8.5 million. Then, they traded away Aqib Talib and promoted him to full-time starter opposite of Chris Harris Jr. The result, though, was easily the worst season of his career (59.9 grade). He enjoyed one interception and nine passes defended, but also gave up a career-high 117.3 passer rating to opposing quarterbacks and was called for five penalties. Per Troy Renck, Roby wants to return to the Broncos, so maybe he’ll be interested in doing so for a little less money than elsewhere. A three or four-year deal in the neighborhood of $30 million seems likely for the cornerback. That would be an average of $7.5 million a year, with it likely being back-loaded, as deals usually are. Anything more than $6.3 million would bump him up into the top 32 salaries at the position, so the Broncos would have to be secure in believing he will play much better going forward. If Denver can’t get him for a deal, they’ll have to look elsewhere and the Broncos need two cornerbacks immediately. Other Broncos free agents who should be getting a look at re-signing include Domato Peko (if he’s willing to take a pay-cut), Zach Kerr, Billy Turner and Max Garcia. Ideally, Denver would be able to re-sign Shaquil Barrett as well, but it looks like he’ll be heading to a new team to be a starter. The logjam of Von Miller and Bradley Chubb would leave Barrett as a reserve player and he said this year he wants to be a starter.